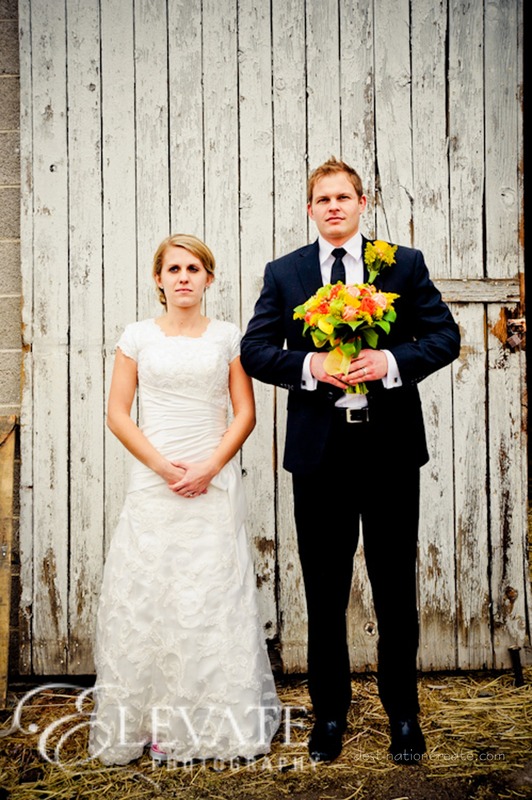 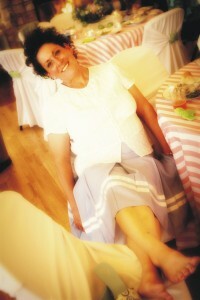 Even though this wedding took place in late December the bride had always wanted and planned on a Spring wedding. 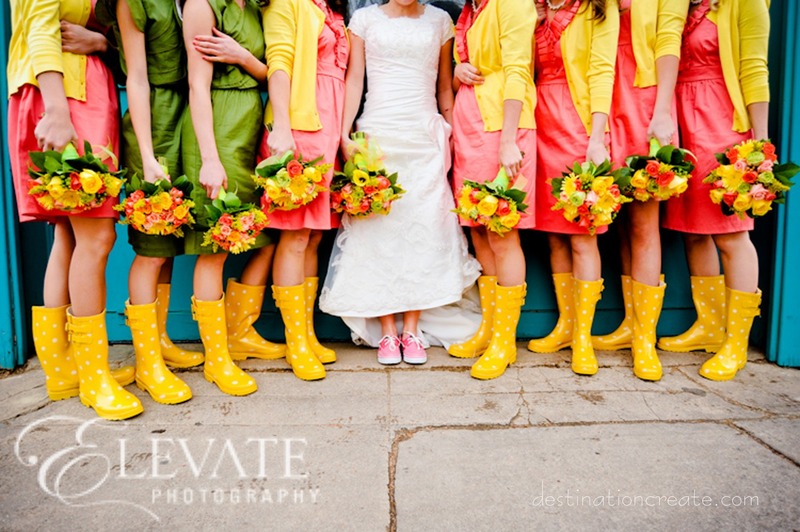 So Winter was ignored and rain boots and umbrellas took center stage. 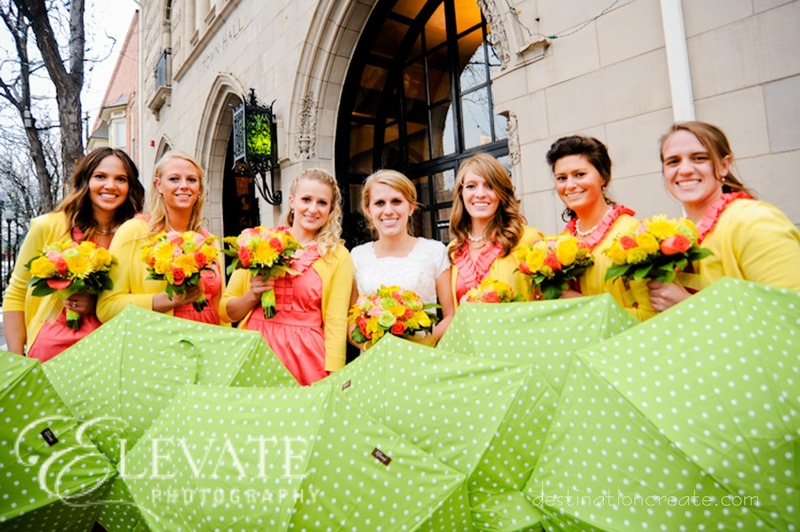 The yellow polka dot boots and bright coral, yellow and lime green color palette were a sunny contrast to the beautiful white snow. 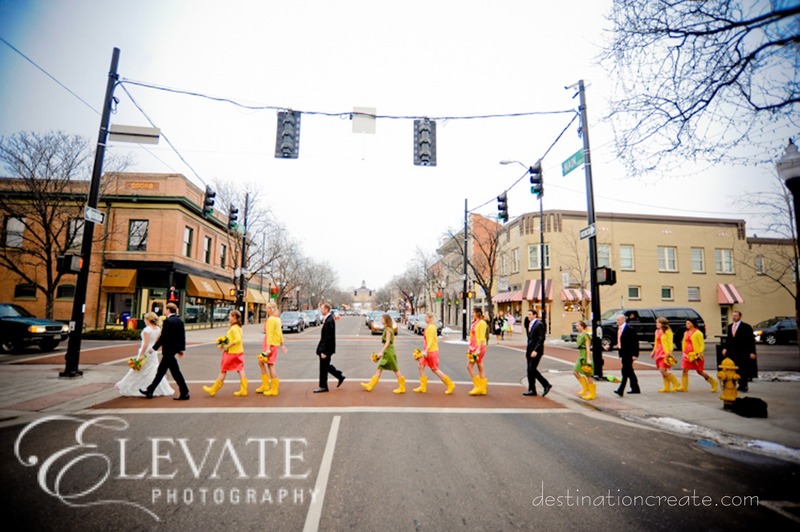 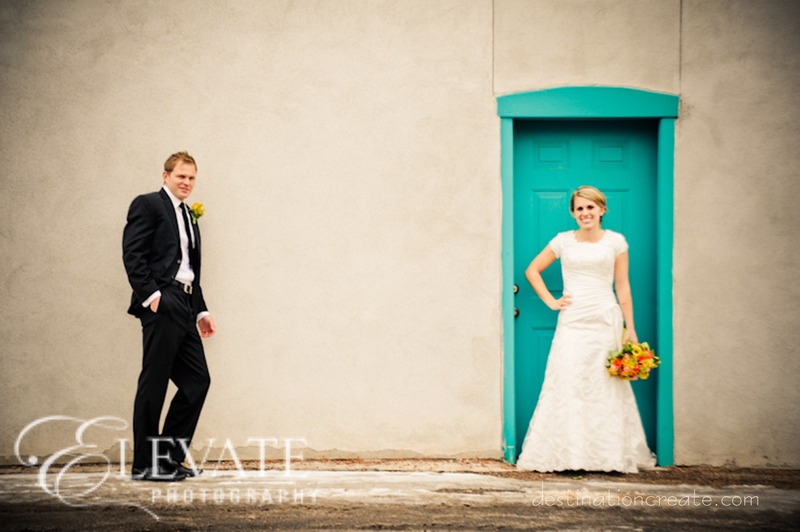 Downtown Littleton is a charming location for a wedding party walk-about. 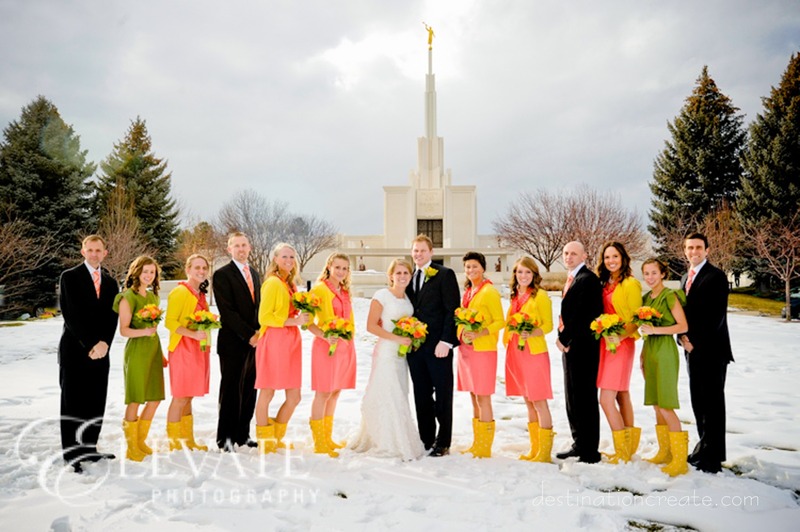 The ceremony took place at the LDS Denver temple. 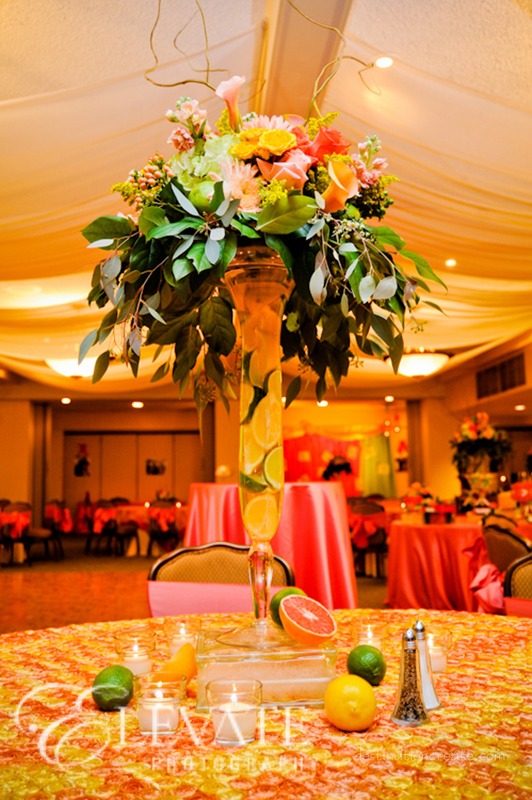 The reception was held at Columbine Country Club. 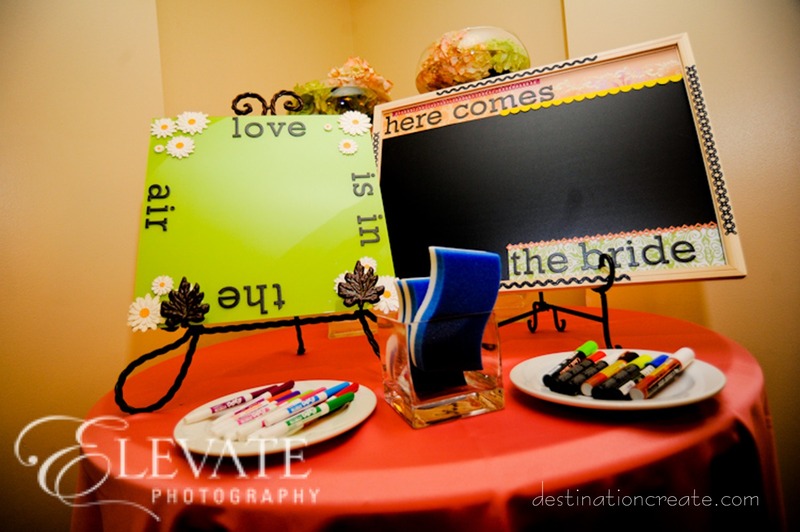 To keep the guests occupied while they queued up to enter the ballroom, I blinged and embellished white boards and chalkboards provided a photo-op with personal messages for the happy couple. 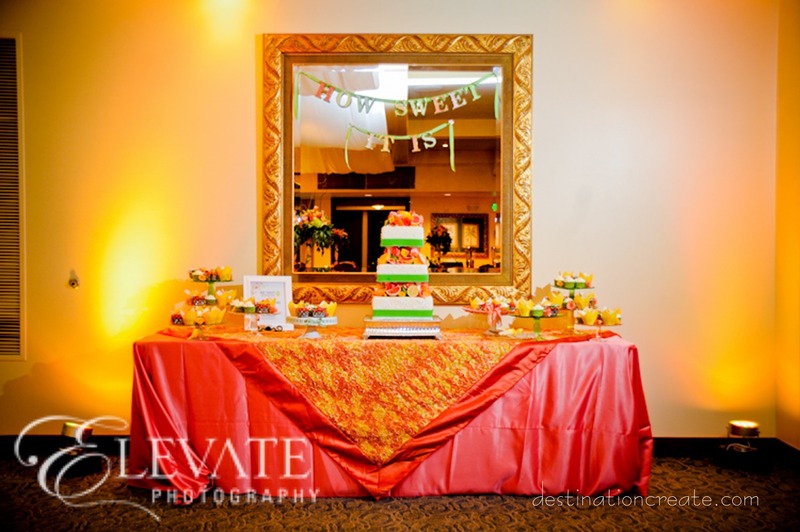 Lush rose taffeta linens from Cloth Connection created a table top garden. 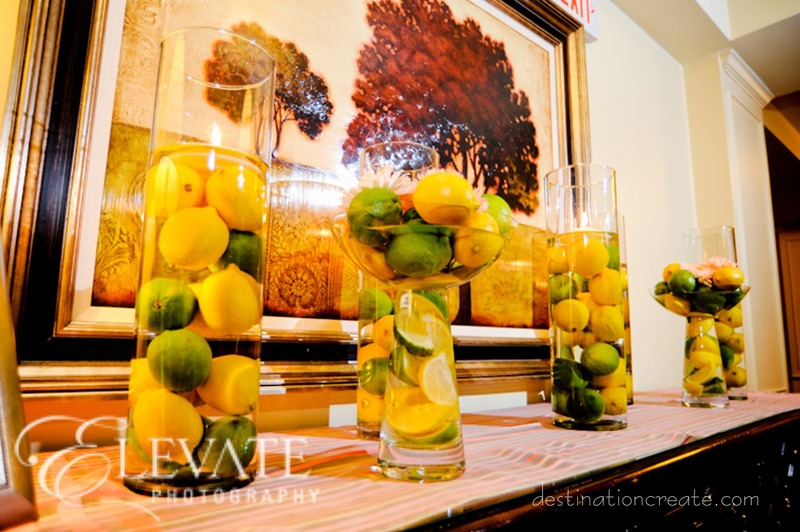 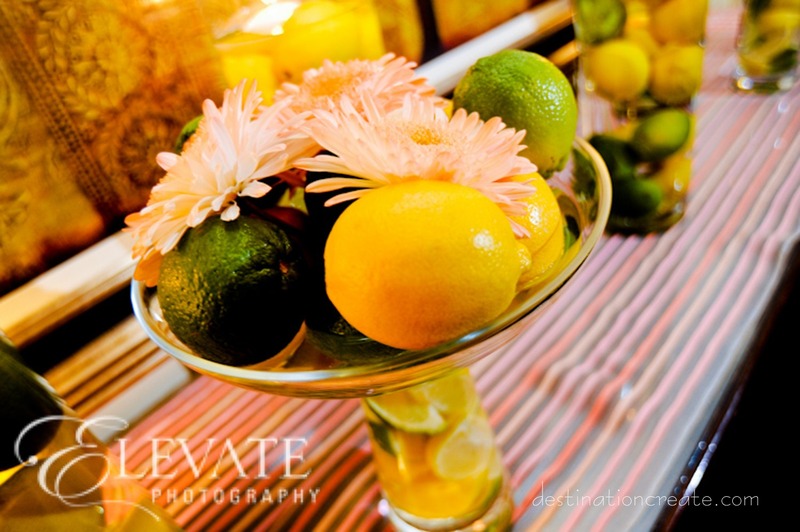 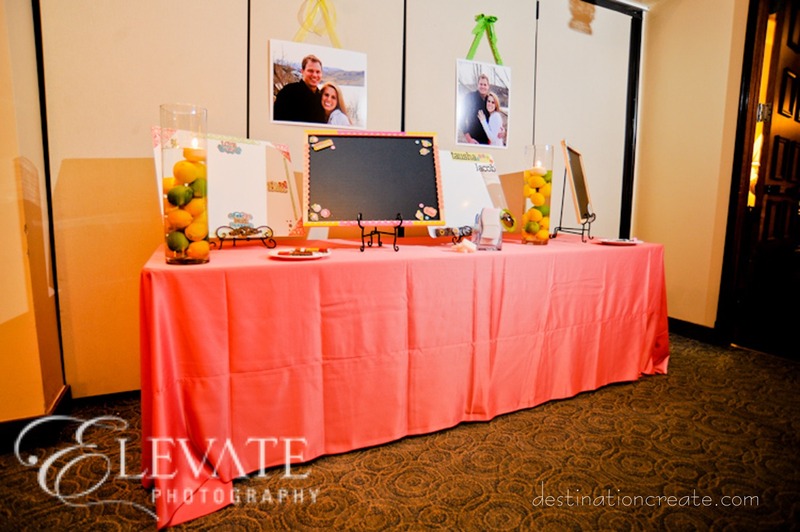 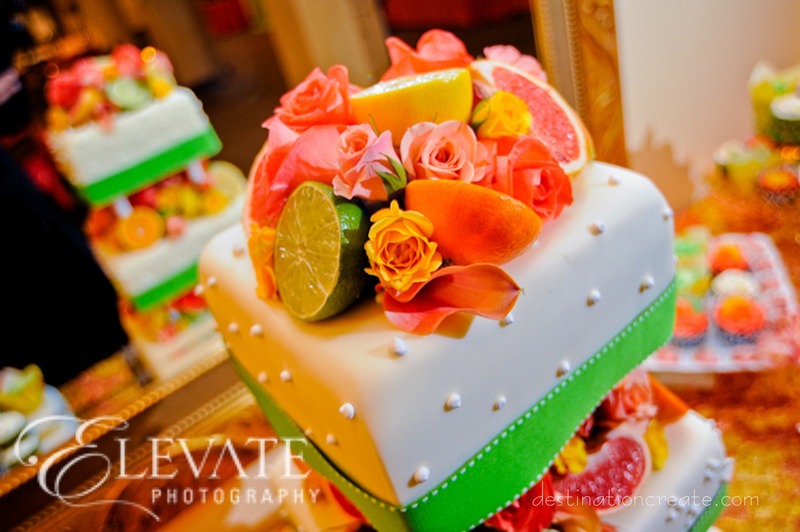 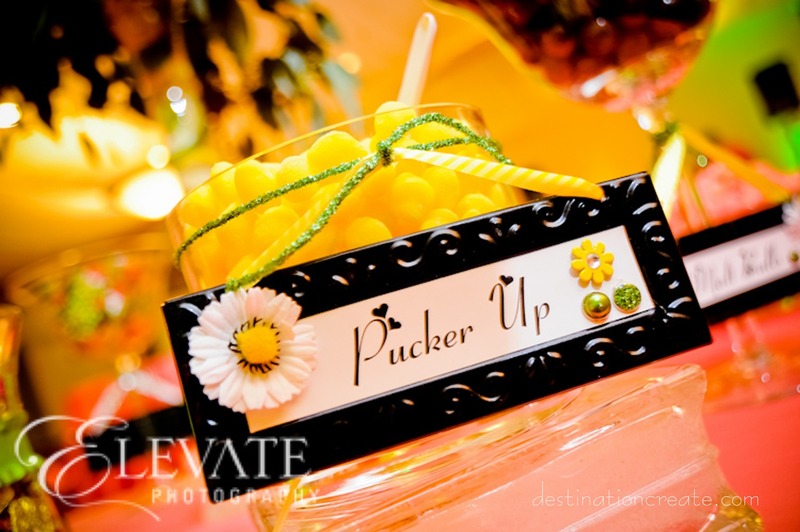 Scattered limes, lemons and pink grapefruit added citrus accents to the florals, tables and floating candles. 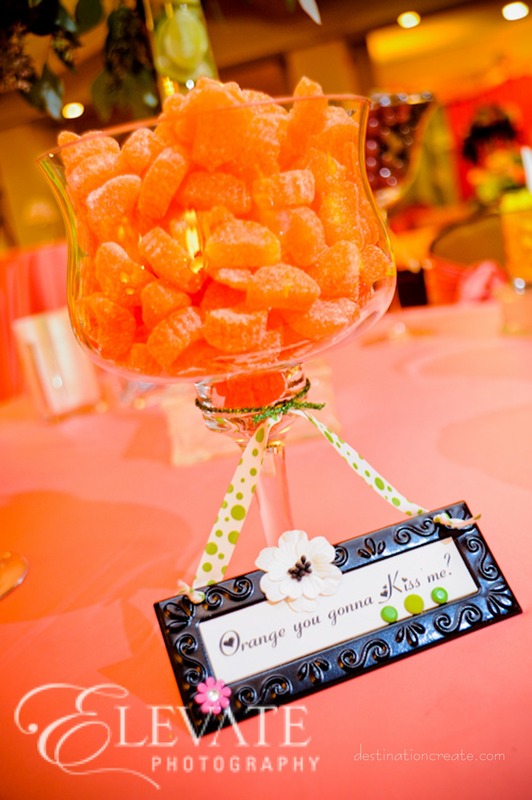 Most of my brides want a candy buffet. 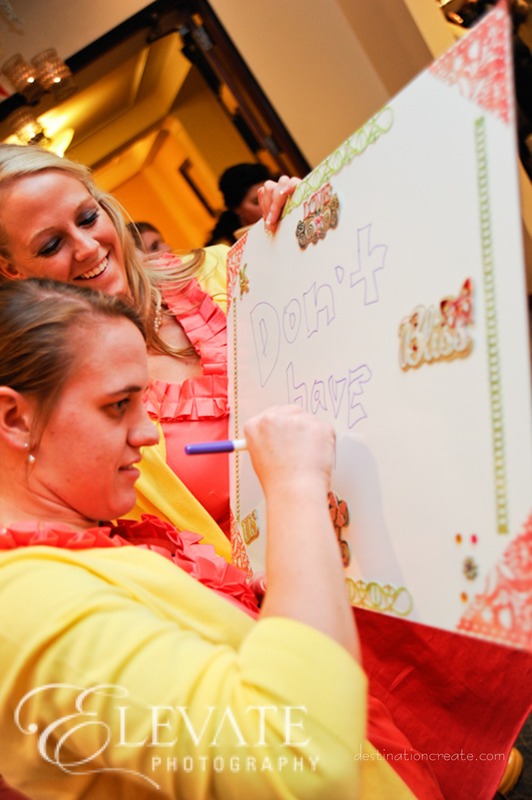 I try to have some fun with the signage. 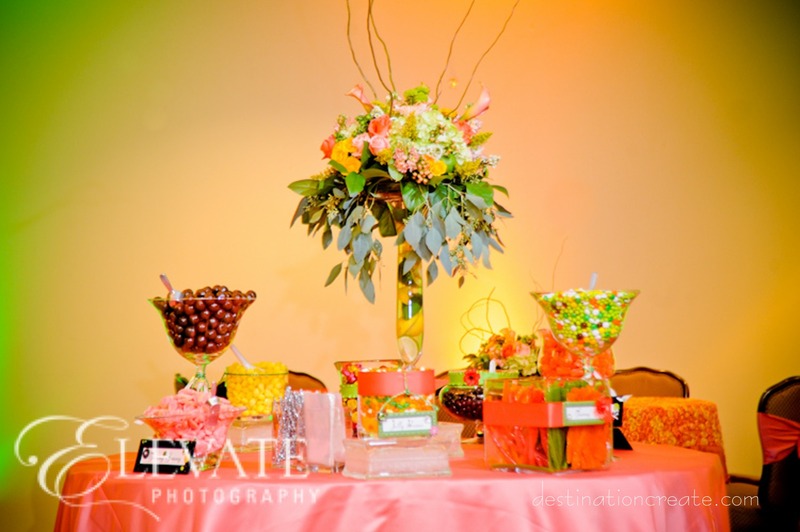 These were delicious colors to work with. 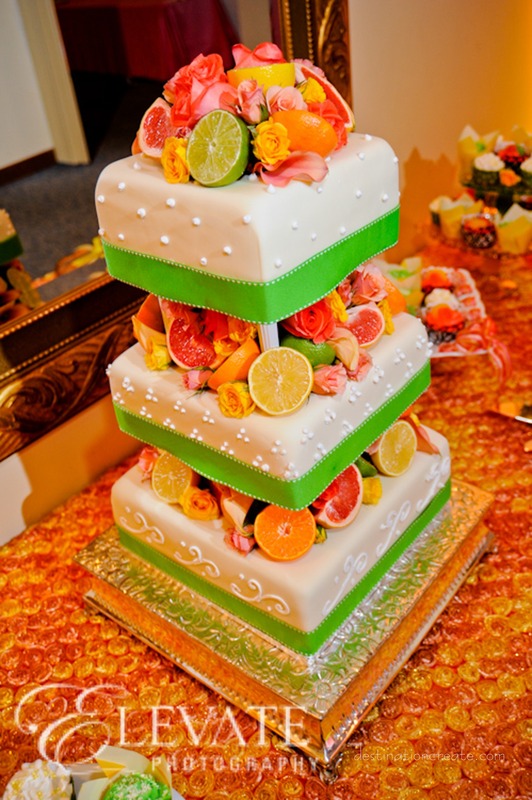 The cake for this wedding was gorgeous and the baker, Malory Pomranka, out did herself on fancy cupcakes embellished with candy and lovely wrappers. 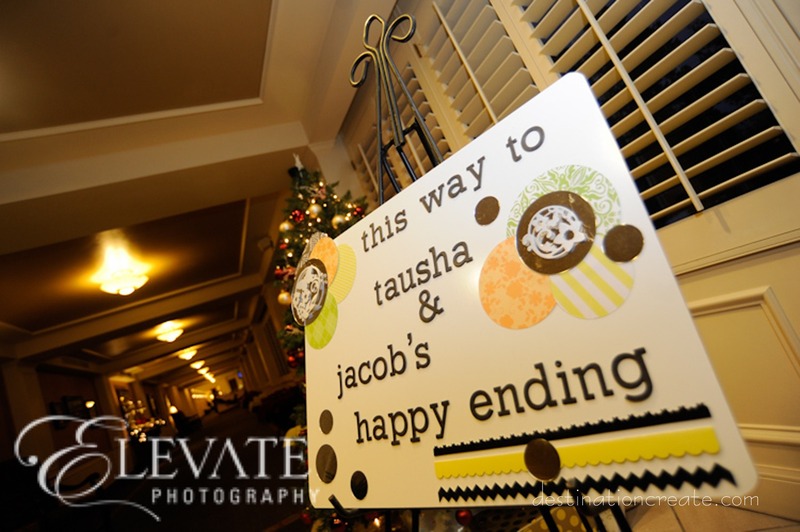 Handcrafted signs rounded out the decor for this wedding. 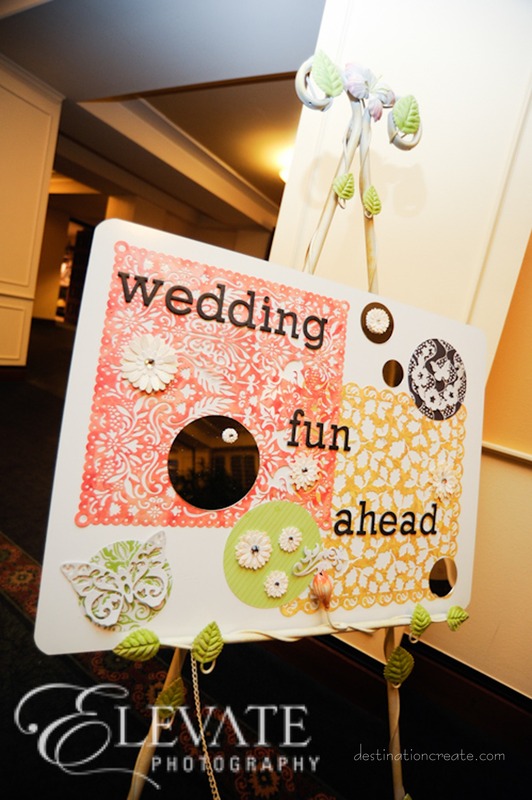 I basically “scrapbooked” white boards to create these signs. 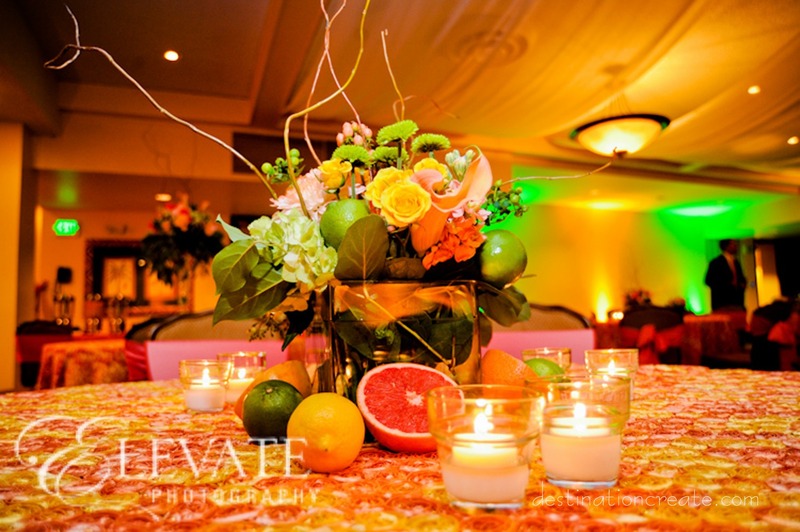 As I walked into the ballroom after setting up and decorating this wedding reception, the feeling that washed over me was HAPPY! 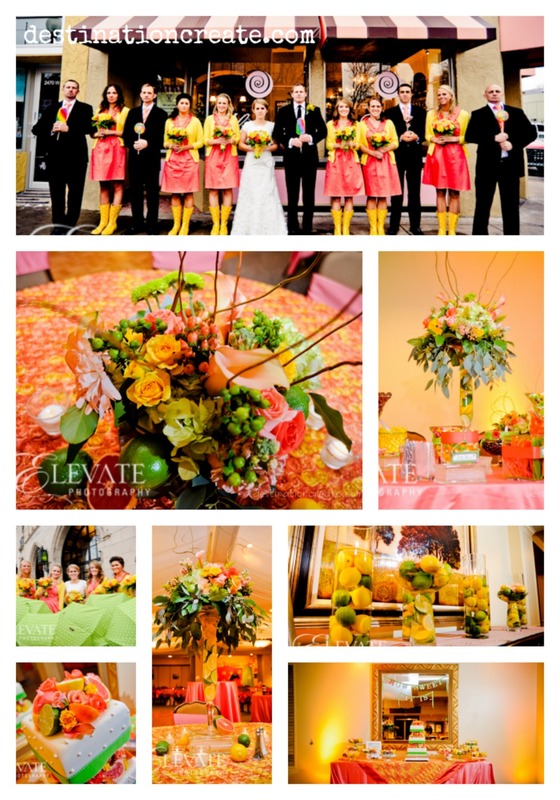 The room was so bright and cheerful…filled with HAPPY colors and HAPPY people. 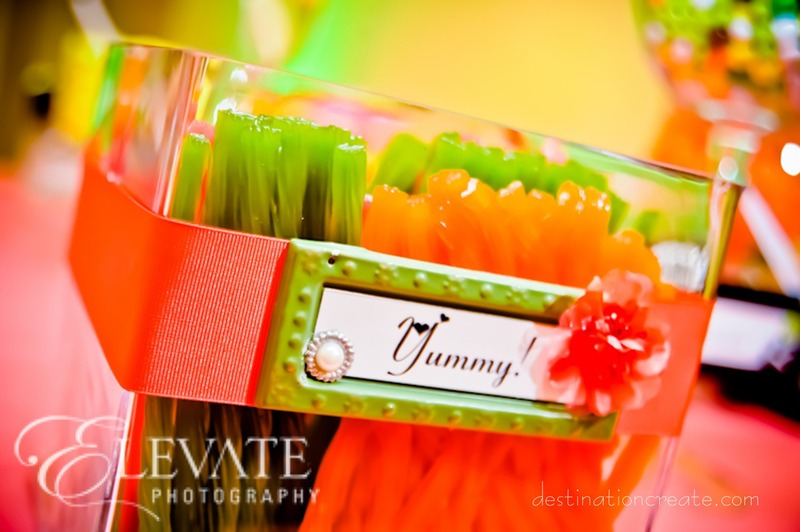 Many thanks to wonderful vendors!